In a seller financed real estate transaction, the seller will function directly as the lender where a buyer will make their monthly mortgage payment to the seller instead of a bank or lending institution. Typically buyers who look to utilize Seller Financing as an option to purchase real estate property are not able to qualify for a traditional mortgage loan due to a low credit score or failing to meet all underwriting requirements. Also, cutting out the banks and mortgage lenders and using the seller to finance the transaction can be seen as a good thing even though there are risks associated that should be taken into consideration. During the transaction, a buyer will sign a promissory note that lists details such as the interest rate, the repayment schedule, as well as the defaulting consequences. A great advantage of this type of real estate transaction is the down payment of the loan can be whatever both parties to the contract agree upon instead of a fixed percentage tied to the amount of the loan. Another advantage is that the entire closing process can be faster and cheaper since all the documentation does not have to go through the underwriting process at the lender. 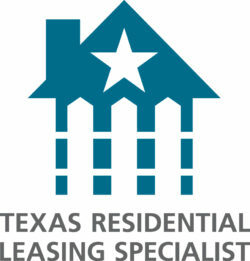 It has the ability to be cheaper by not having to pay certain closing cost fee’s and a lower APR. As a buyer considering this type of home owner financing, do not forget that just because a seller is not a bank, there may be a credit check involved and turned down if considered a risk.